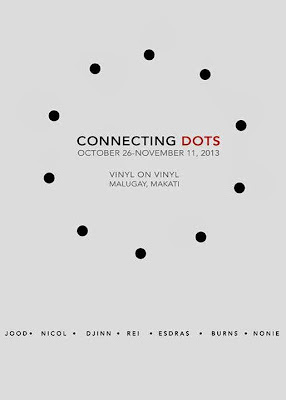 VINYL ON VINYL: Connecting Dots this October 26, 2013! 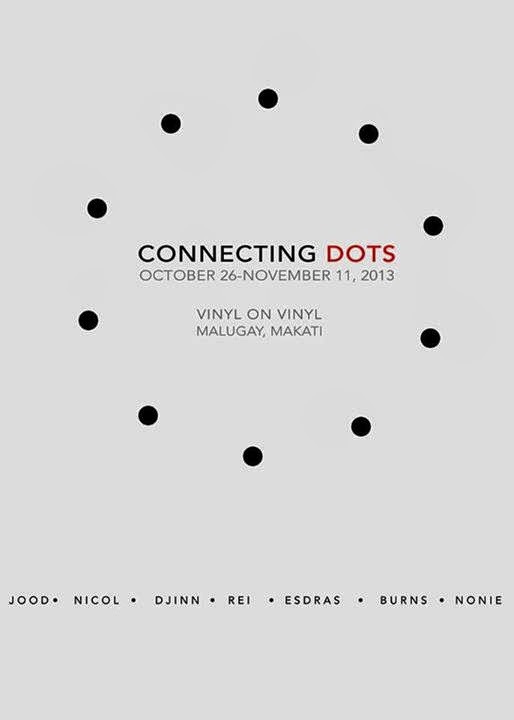 Connecting Dots this October 26, 2013! In this exhibit, the artists’ works prompt inquiries into relativism and absolute truth. In the contemporary context, one can easily have access to a myriad of choices, as well as corresponding justifications for them. While society and cultural milieu normally dictate the most acceptable courses of action, are these choices right? And as a corollary, how do an individual’s choices affect society as a whole? In the search for an individual truth, is the meaning of absolute truth lost? The artists explore the range of relativism, from cautionary to optimistic – addressing whether relativism is in fact a hindrance to seeking absolute truth, enabling people to seek comfort rather than meaning in their lives, to reflection on the interconnectedness and implications of each individual’s judgments, actions and decisions. Each artwork, and each artist, represents an individual truth and idea, yet they are all interconnected, like the dots that connect to one another, a cell to an organism, and man to humanity.